"When you hear how great the economy's doing right now, let's just remember when this recovery started", Obama said at the University of IL. "The stakes really are higher". "We got, if you remember, individual mandate wiped out, we wiped out individual mandate, the most unpopular part of Obamacare". He later added: "This is not normal". He praised Republicans who in the past had helped expand civil rights and other protections and said neither party "has had a monopoly on wisdom". Obama asked an auditorium packed with college students who greeted him with a roaring standing ovation. Anti-communism used to be the rallying cry of the conservative, pro-capitalism movement in America and yet now they seem perfectly comfortable with the leftover Soviet spy running Russian Federation. It's playing out in a state Trump won by eight percentage points and where Republicans hold all statewide offices. 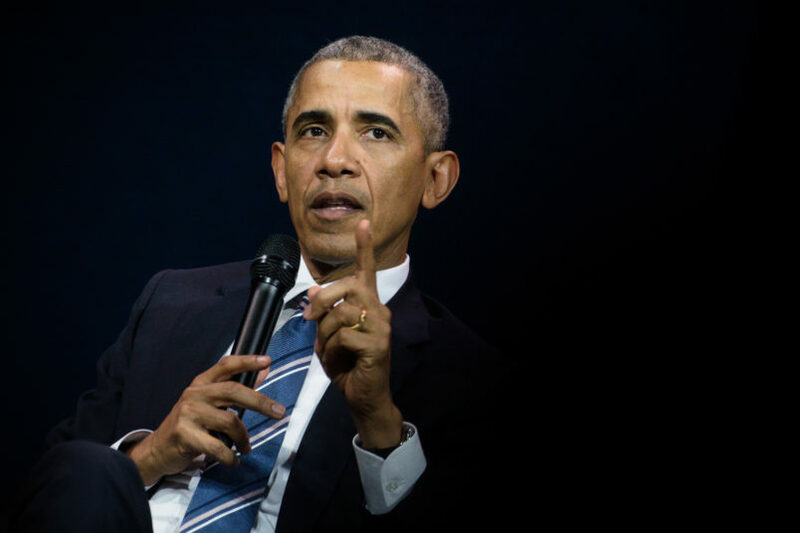 The speech will be geared to domestic politics in the tumultuous Trump era, and Obama will address in a fairly pointed way the current political environment, how we got here - and the way forward. "I found he's very good for sleeping". If Democrats win control of one or both chambers in Congress in November, they would be able not just to stymie Mr Trump's agenda but to launch investigations into the Trump administration. We're supposed to stand up to discrimination. And Obama went on from there, calling Trump out over "cozying up to Putin", for not standing up to "Nazi sympathizers", for attacking the press, for directing his own Justice Department to show political deference, and for costing us "honesty and decency and lawfulness in our government". The 44th president of the USA was also scathing about Mr Trump's initial restraint when asked past year to condemn far-right protesters in Charlottesville, Virginia. The president was widely censured by officials from across the political spectrum, and later clarified that he condemned neo-Nazis and white supremacy. Obama's remarks will be on "the state of our democracy", his communications director Katie Hill said in a statement. Former president Barack Obama has accused his successor of "capitalising on resentments" in his first major speech since he left the White House. And for the first time, Obama publicly called out President Donald Trump by name. He attempted to connect Trump's views with the members of the Republican Party as a whole, particularly on Russian Federation, and noted how far the GOP had seemed to stray from its roots. "It's supposed to be the party... of fiscal conservatism". That's how real change starts, Obama said. The former president implored the young audience to vote in the upcoming election. Obama's remarks come as the midterm election enters full swing. "You can not sit back and wait for a savior".